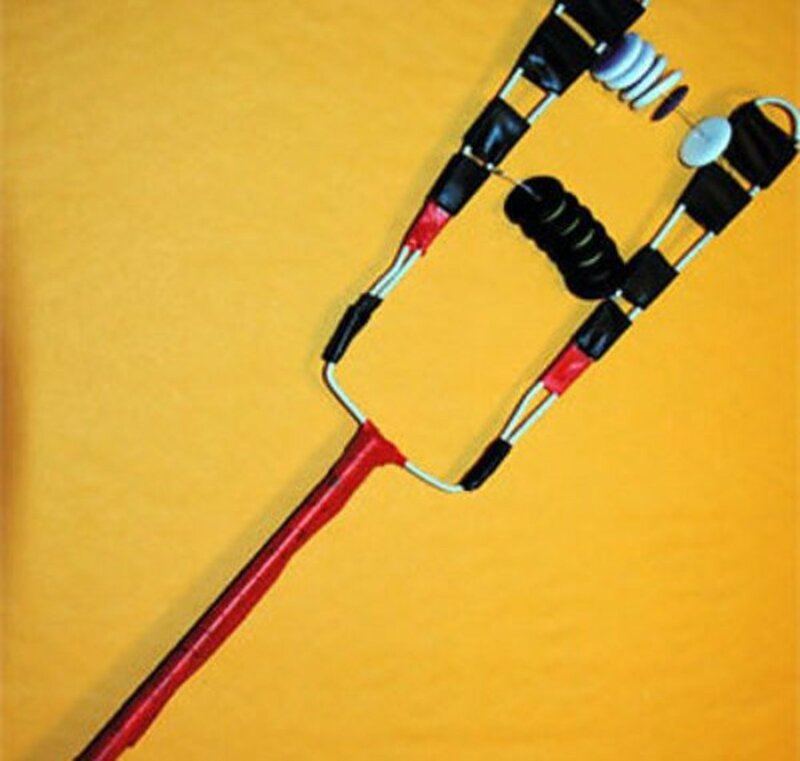 When I was looking for crafts that would interest adults, I wanted to find projects that were a bit more difficult, a bit more expensive, and a bit more time-consuming than the ones I usually write about. I'm talking about the types of crafts that older teens and adults (including myself!) would be interested in. The tutorials included with these projects are a great starting place for folks who like to personalize their work. You'll find the tutorial for making the unique craft above at Centsational Girl. 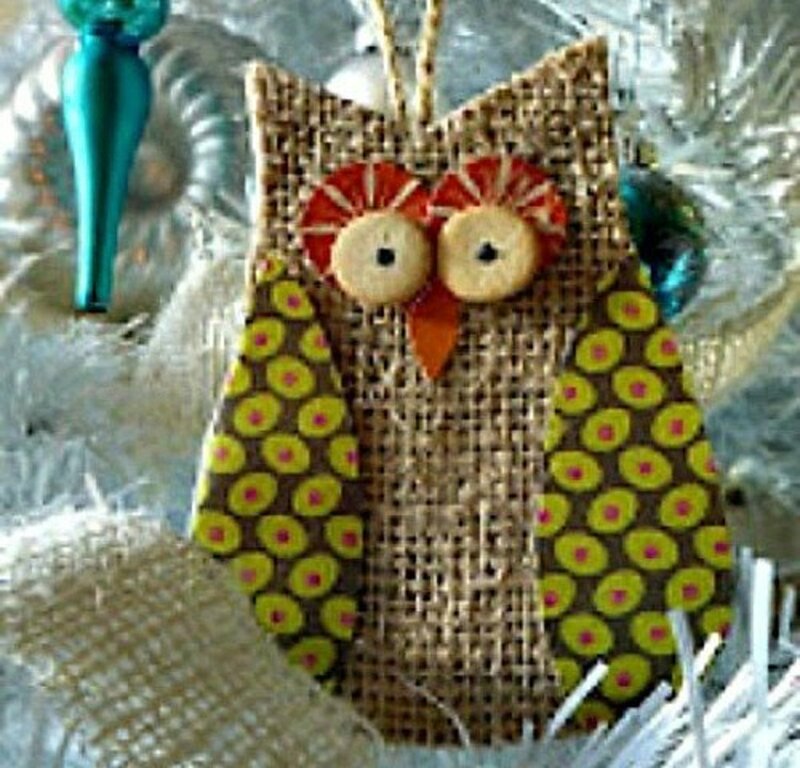 This is an adorable craft to adorn your home the whole year round. You can find the tutorial at Rustic Crafts and Decor. This is so outstanding and will ready make your patio party elegant and unique. I can think of so many evening occasions that a patio chandelier would be the perfect touch. Find the instructions for making this chandelier at Running With Sisters. 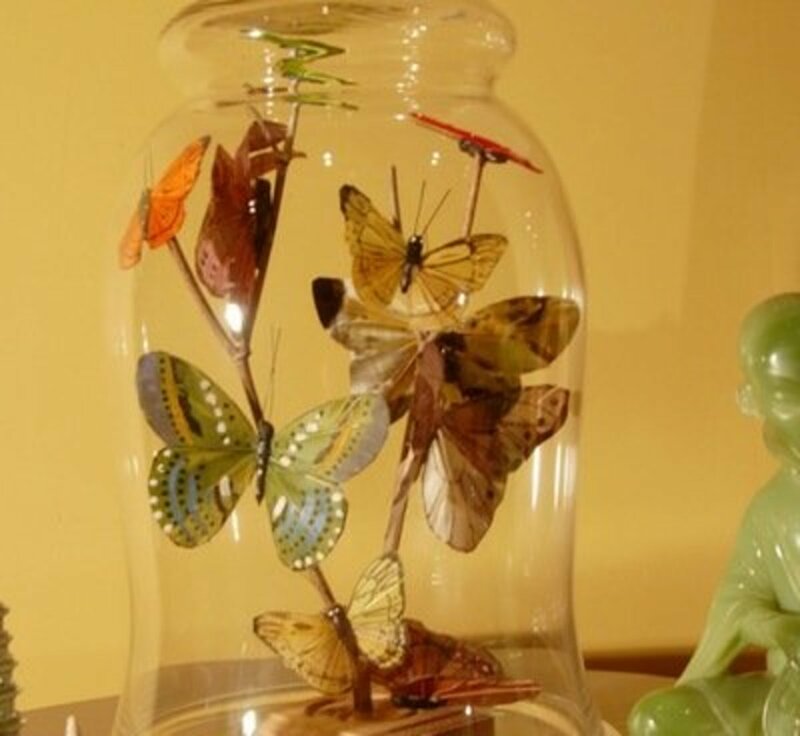 This project, Butterflies Under Glass, can be found at Make Your Mark. 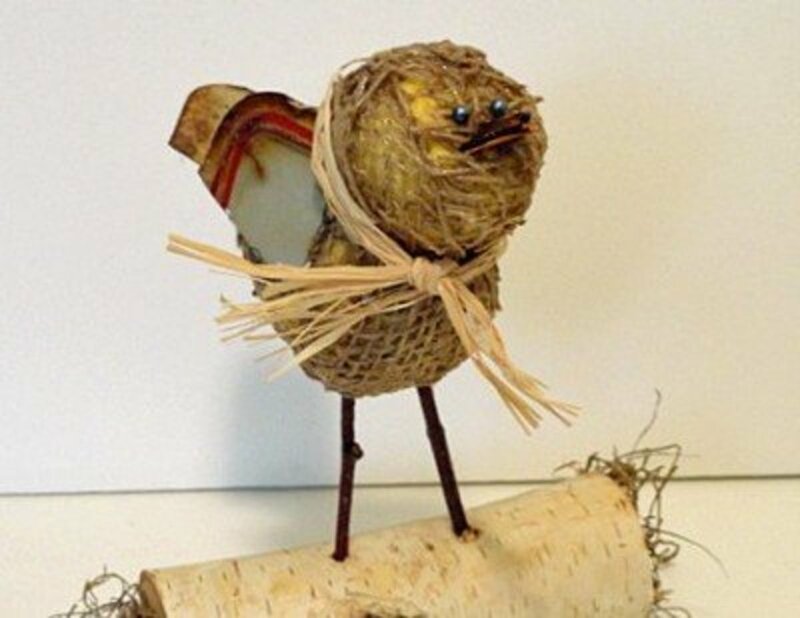 This is one of my favorite crafts and one I definitely feel it is a decorator item. Find the instructions for this project at Pleasure in Simple Things. Instead of using the small plastic toy animals, consider using larger animal toys or papier-mâché ones. 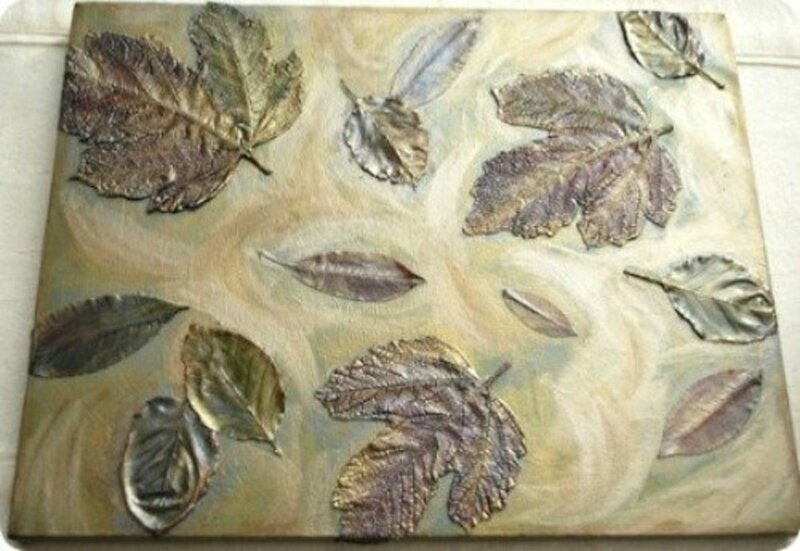 They will be more the size you'll want to use if making an art décor piece. 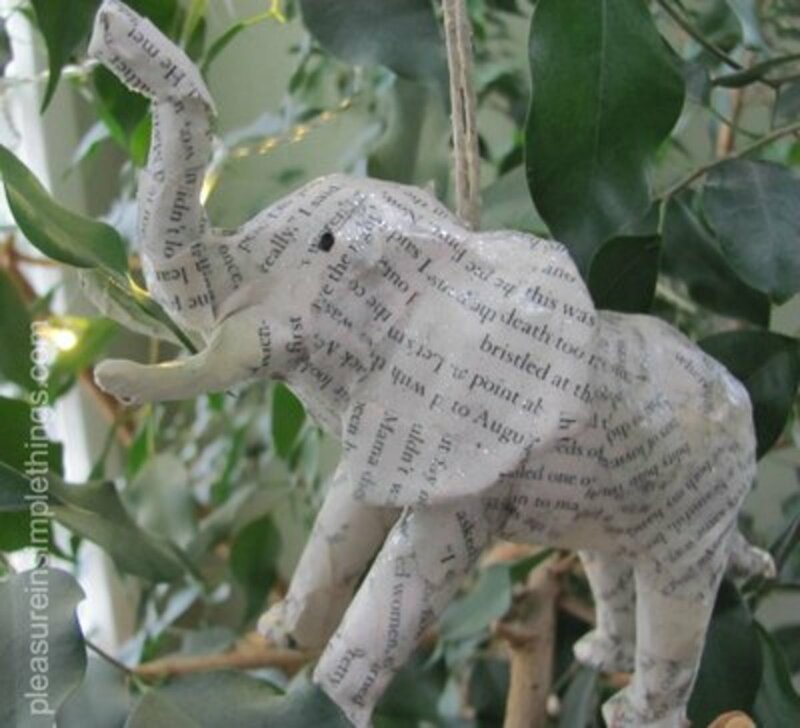 I love the looks of the torn book pages that cover the elephant. 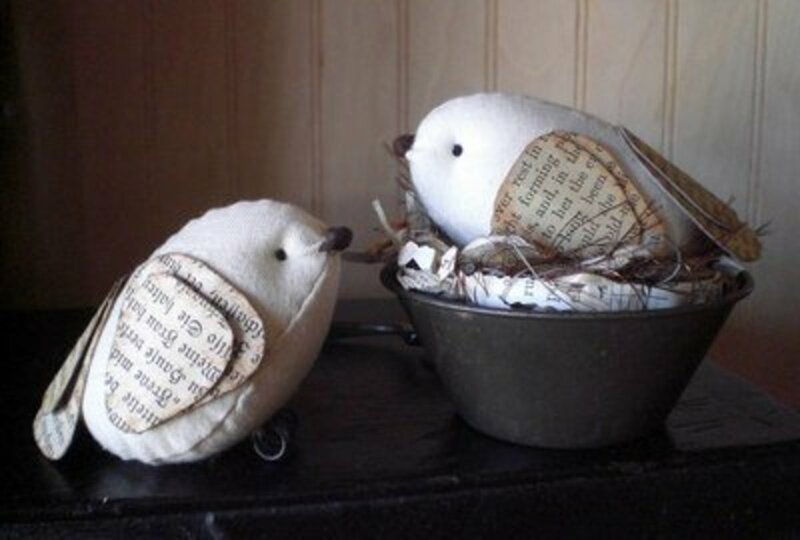 Oh, this wee bird is just perfect to achieve that "special touch" needed on a shelf of books or on an end table. 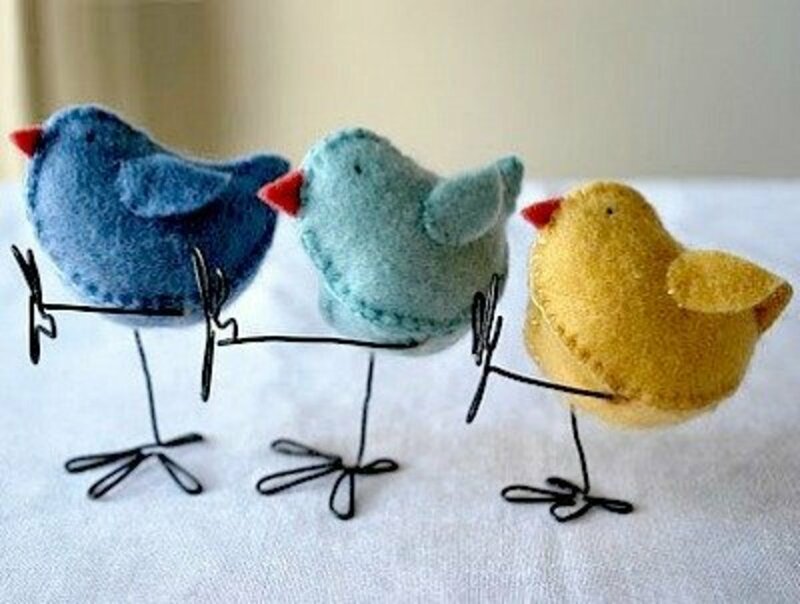 You'll do a bit of hand sewing to make this little bird. Notice that the wings are made using book pages. The patterns that you'll need and the tutorial is included at the Todolwen site. Follow the tutorial found at Polkadot Chair to make a beautiful wreath. 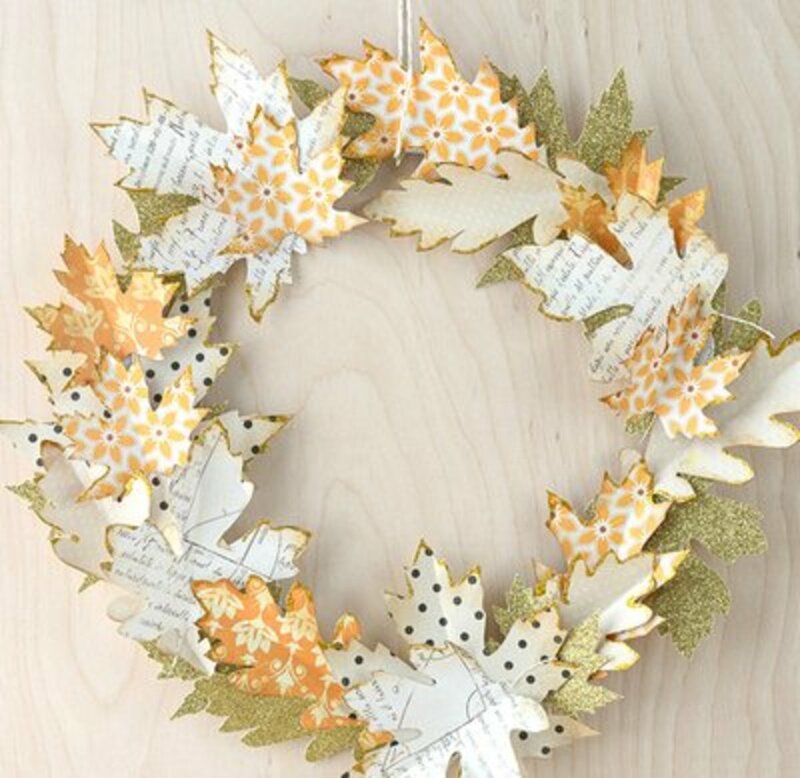 Just change the papers used to make the wreath for different seasons or holidays. 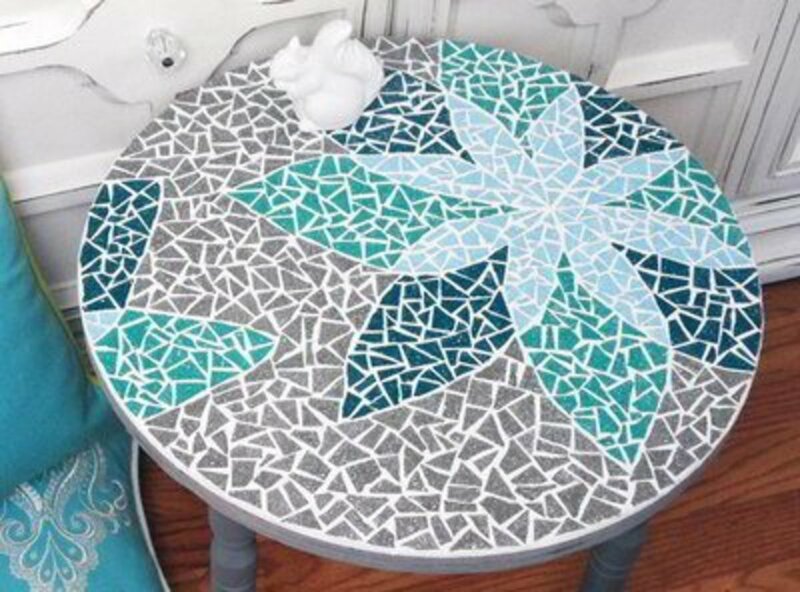 The tutorial and other tips for making this mosaic top table can be found at Running With Sisters. 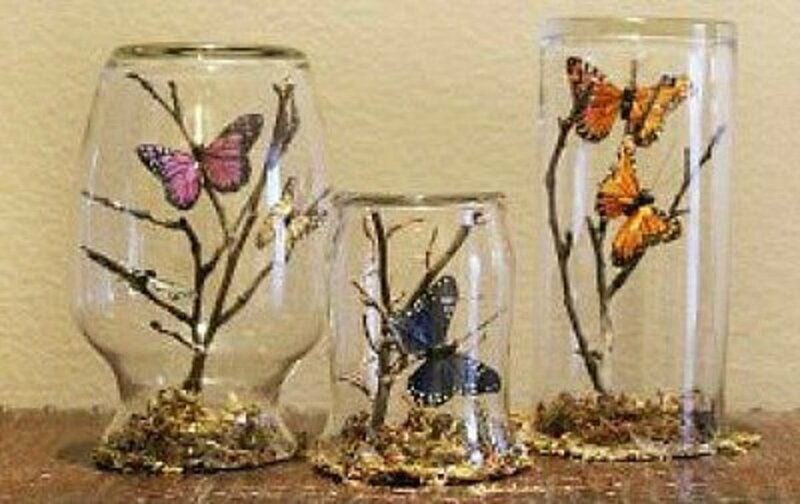 Although this project is very similar to the butterflies under glass shown earlier, I think it's worth showing just to demonstrate how nice a grouping of the butterflies is. 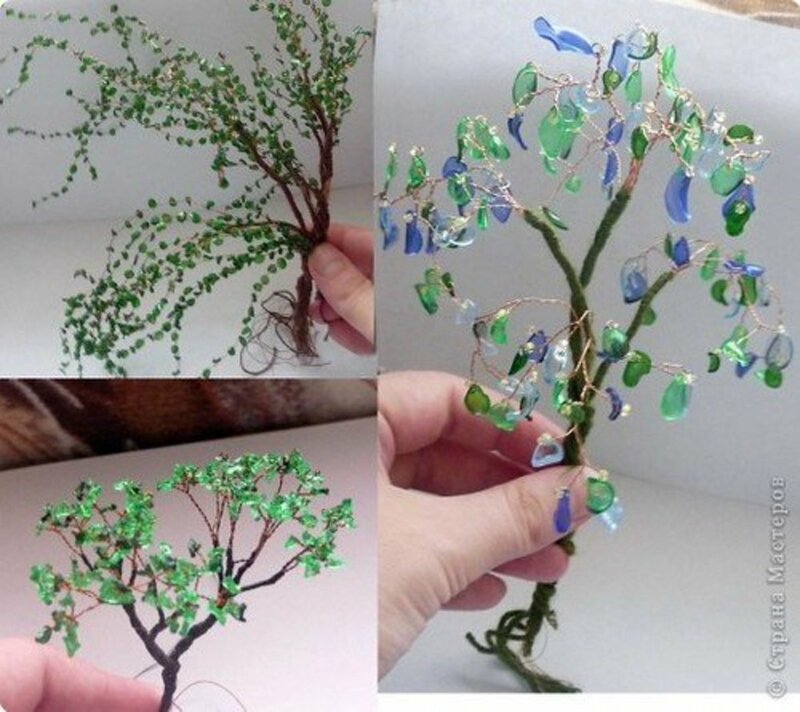 You'll find this project at Favecrafts. I love this horse. 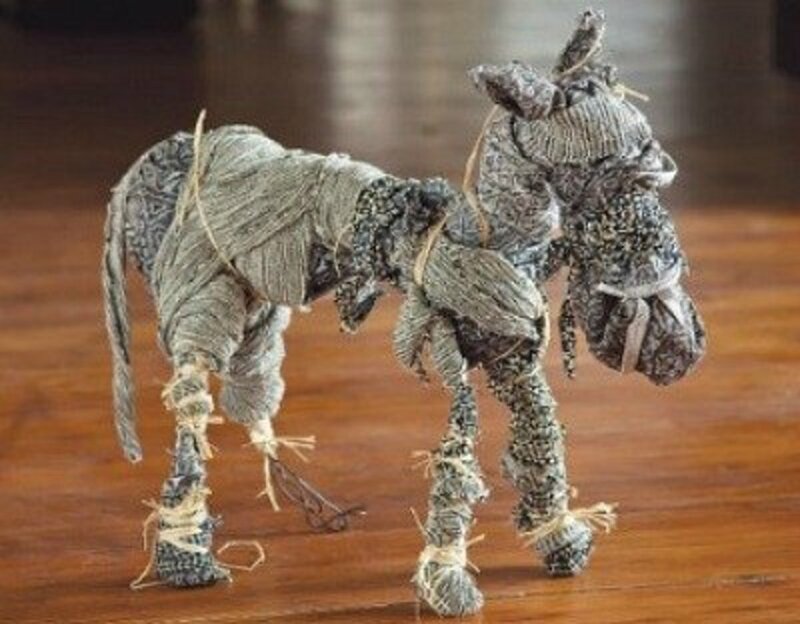 The instructions for making this tied rag horse can be found at Craft Foxes. 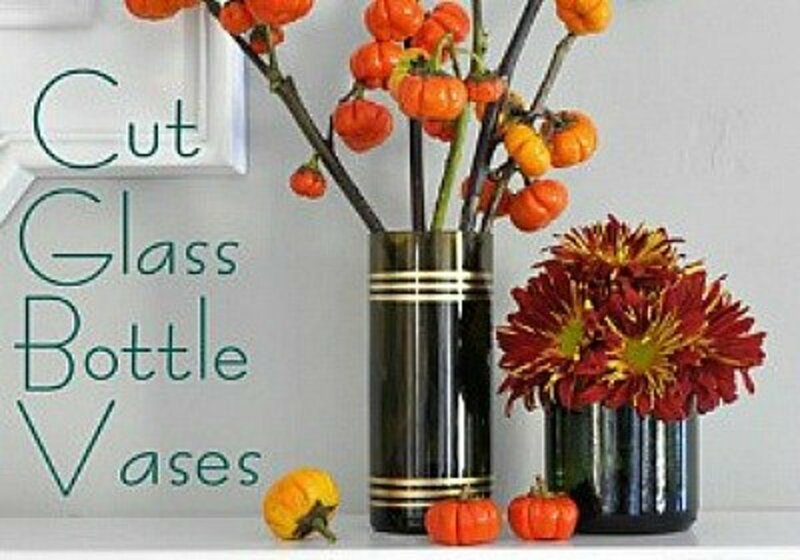 In this tutorial by Centsational Girl, we find out how to cut the wine bottles and how to decorate them with the gold trim. This is a great way to recycle wine bottles. These cute little chicks are called Easter chicks on the Myrtle & Eunice site, where you'll find the tutorial. I would have a hard time stashing them away after Easter though. They have a vintage look to them that I find appropriate to display all year long. You probably wonder why I include this project, so I'll give you my excuse. 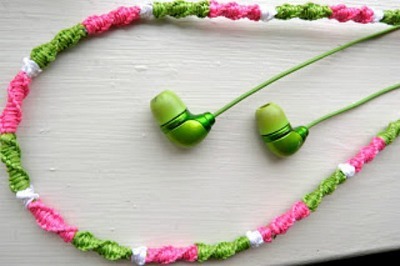 The cords on headphones are not very attractive and using narrow ribbon to cover them does fancy them up. 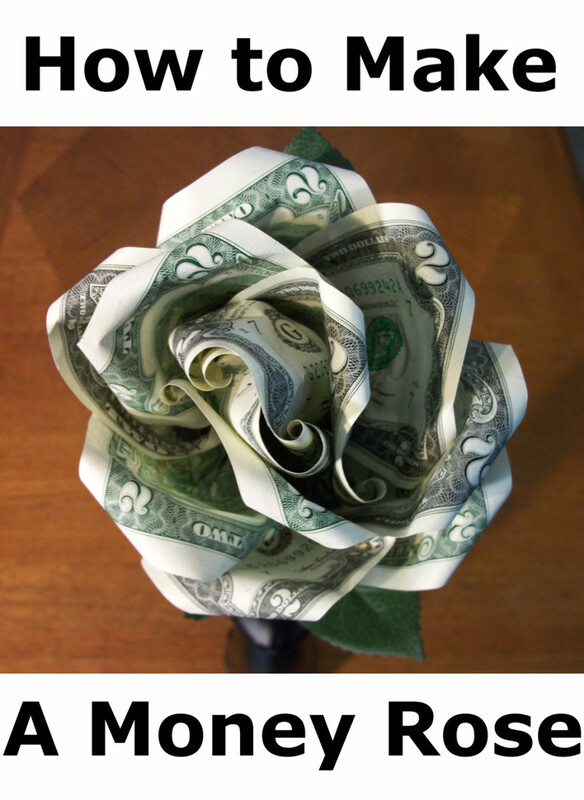 I consider this a great gift idea, but one that takes a little time and effort to do well. Find the tutorial at Craft Geek. 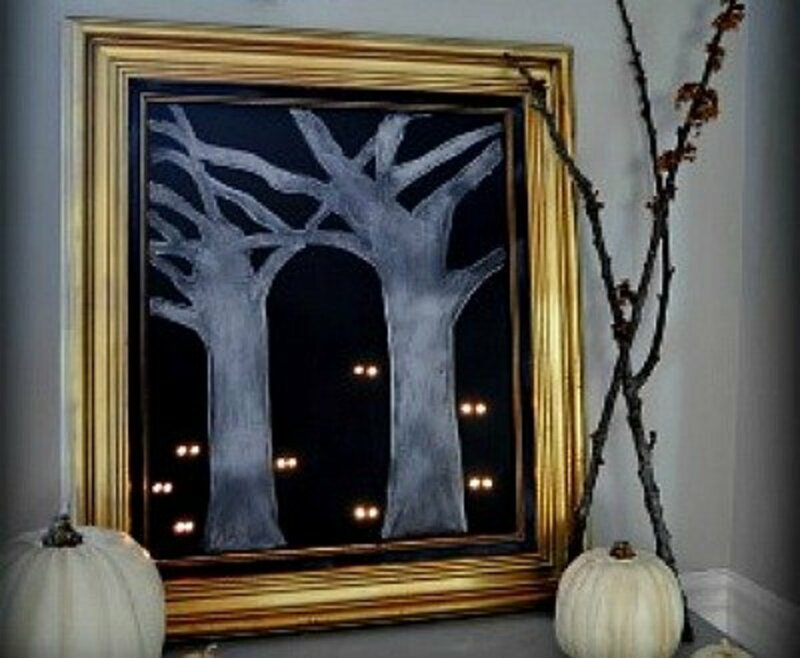 Taking the time to make a really great Halloween picture, one that you'll want to display each year, will be well worth the effort when you see how nice this glowing eye forest looks. You'll find the tutorial for this project at Centsational Girl. Don't you love the glowing eyes? 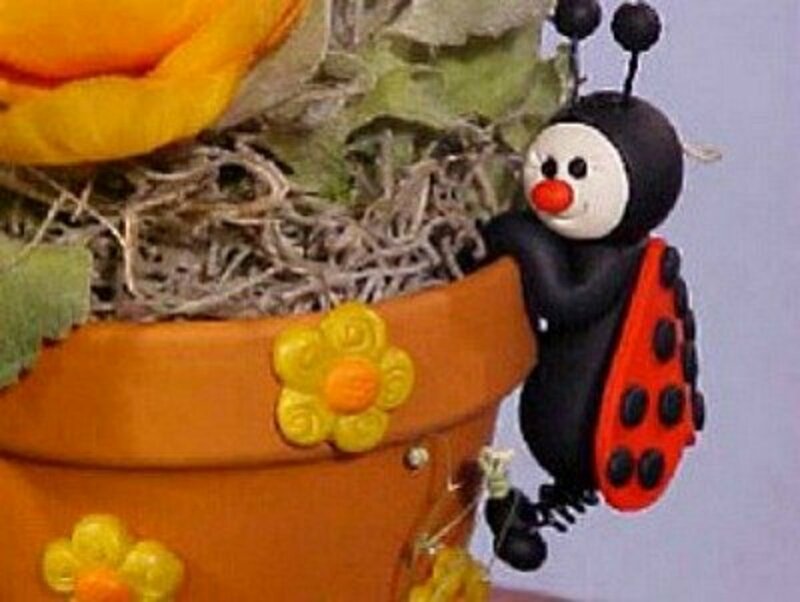 After you make a ladybug following the tutorial at Favecrafts, you'll know enough about making pot friends, and you can dream up other bugs or animals to make as plant pot friends also. This is a great project to get your imagination working. This is definitely a project that I'll be making. 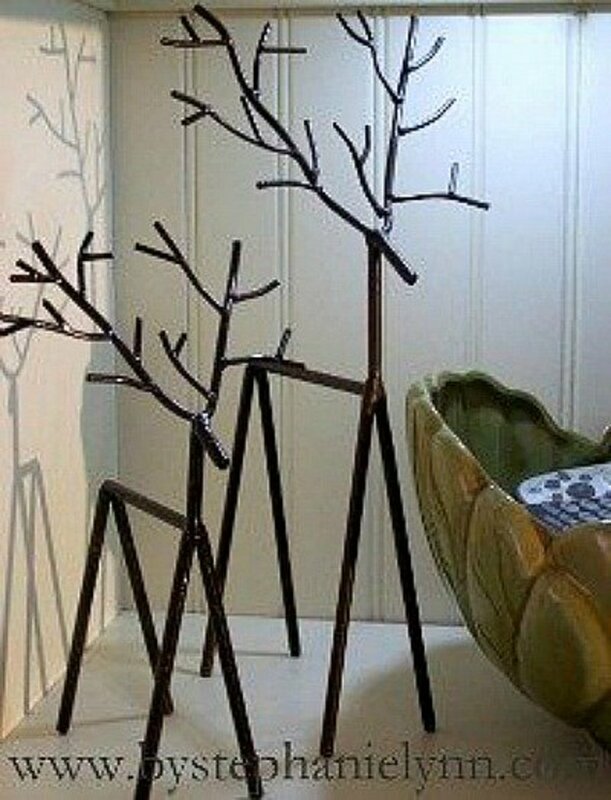 I love the metal sculpture look of these reindeer and can imagine them as décor in my home. The tutorial for making these reindeer is found at Takens-Tidbits. 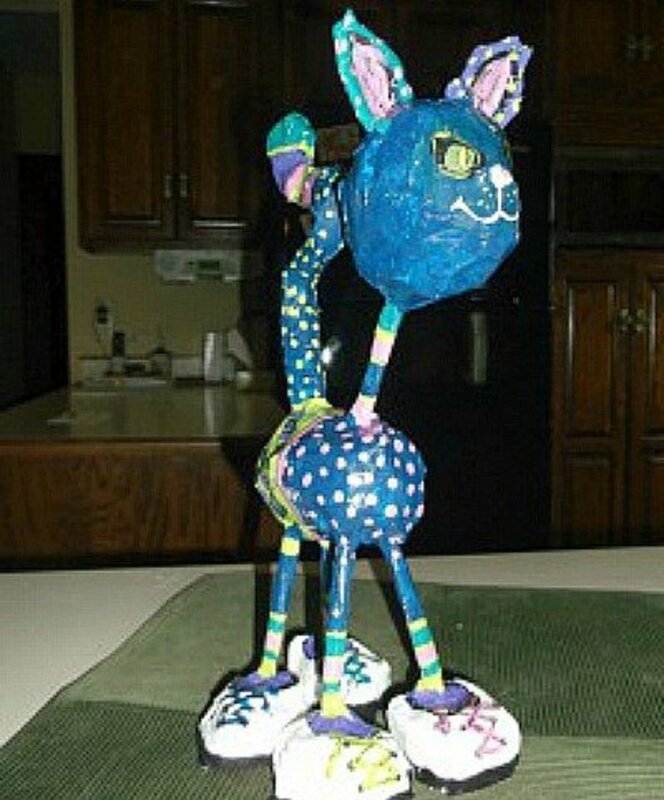 If you haven't tried using clay papier-mâché yet, you're going to love making this cat. Go to Kids & Glitter for the instructions and try this craft. I'm sure you'll love it too. 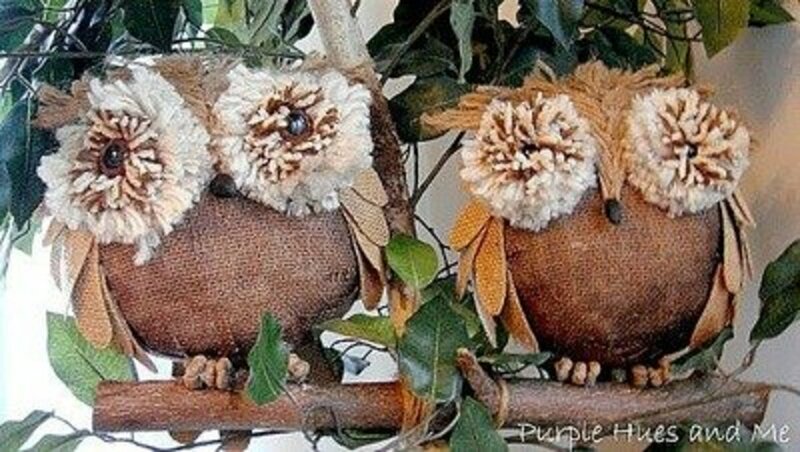 Owls are so much fun to make and this owl couple is one of many that you'll find featured at Purple Hues and Me. 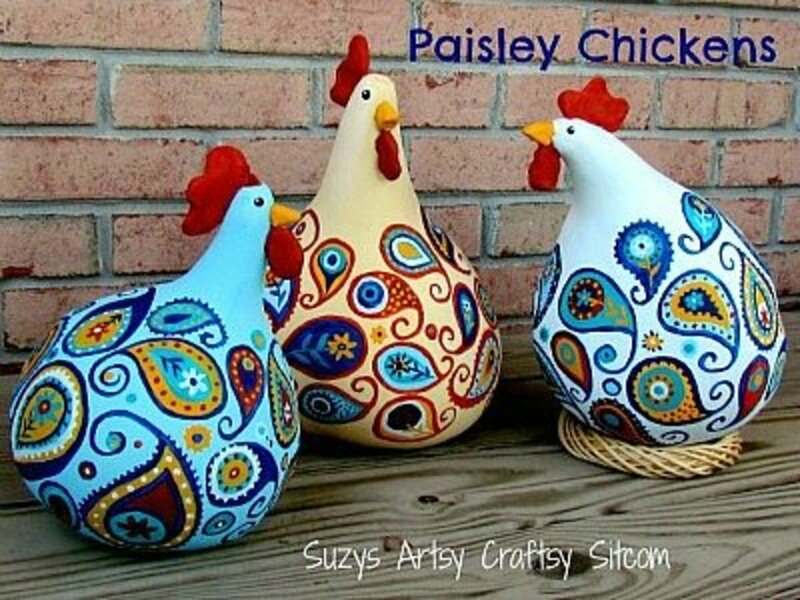 One of my favorite chicken crafts, featured on the Suzy's Sitcom site, is this one using gourds for the chicken bodies. I love the way these chickens are painted. 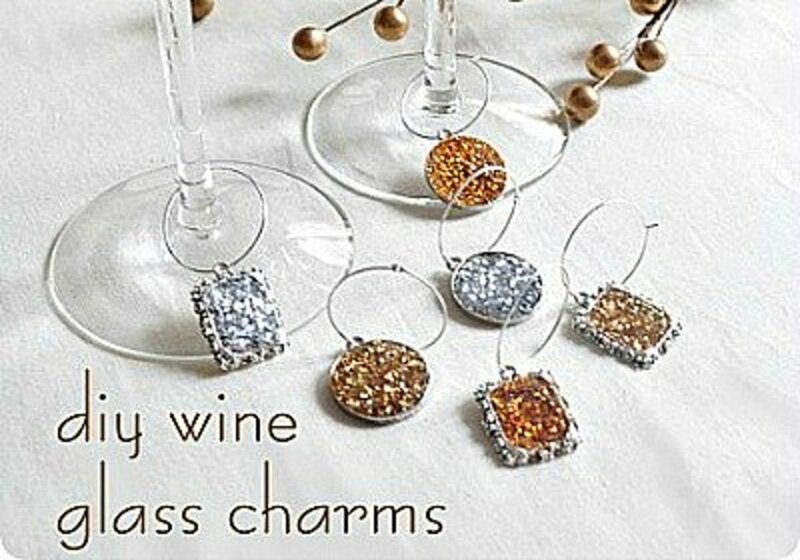 If you are a wine drinker, you know how nice it is to have charms to distinguish your wine glass from the rest. 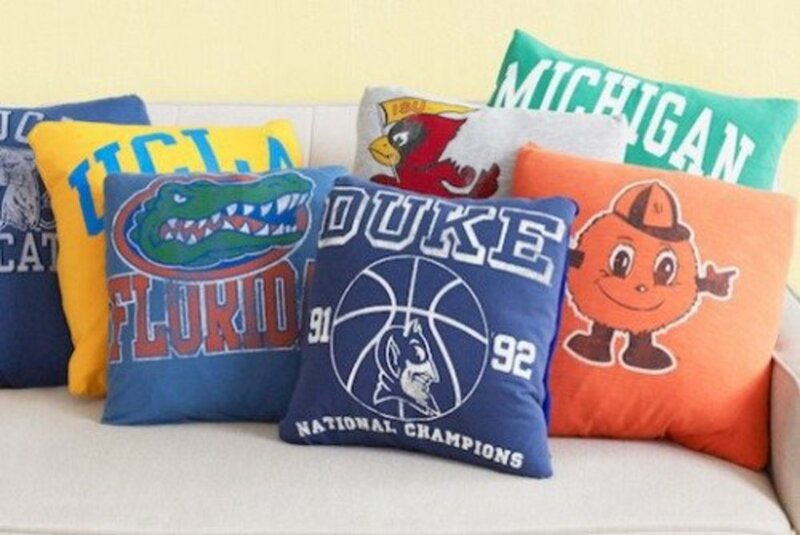 These are so beautiful that they'll look appropriate in the most elegant setting. 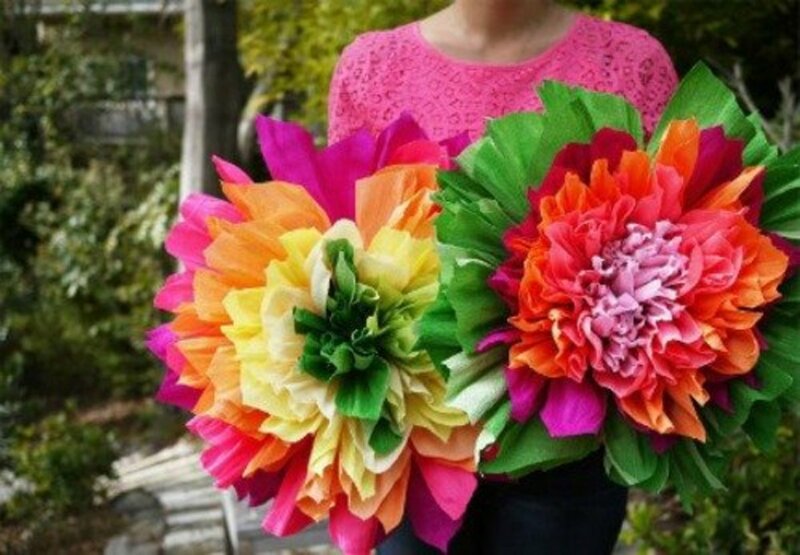 Go to Centsational Girl to see how to make them. This is a great gift idea to present with a bottle of wine. 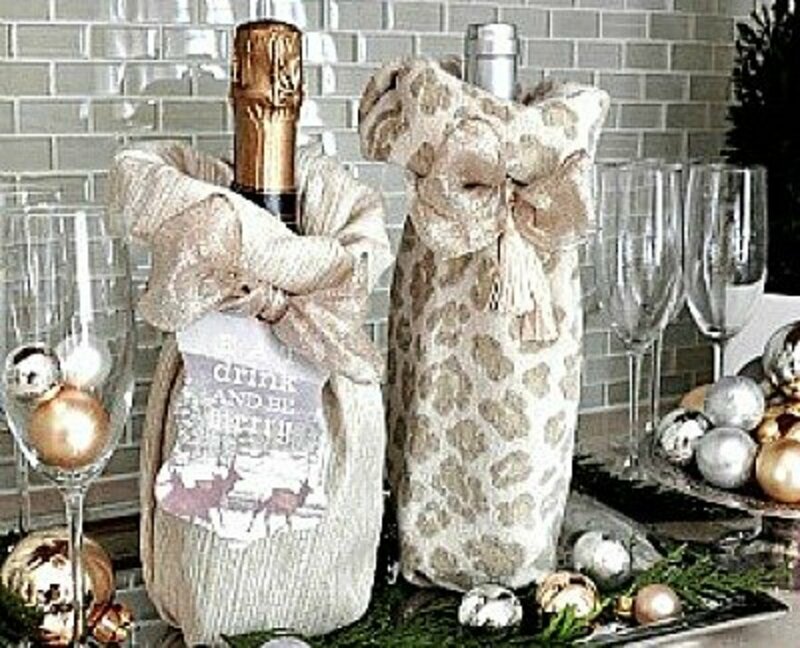 The perfect fabric for the occasion will make a wine gift bag suitable for the perfect wine being presented. See how to make these beautiful gift bags by going to the Centsational Girl site. 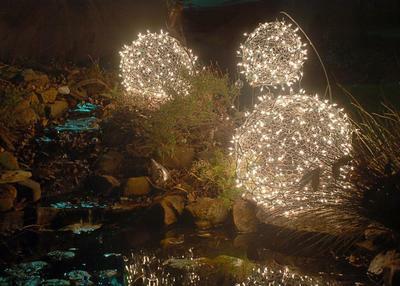 Make beautiful lawn Christmas ball ornaments using chicken wire following the tutorial at HGTV. 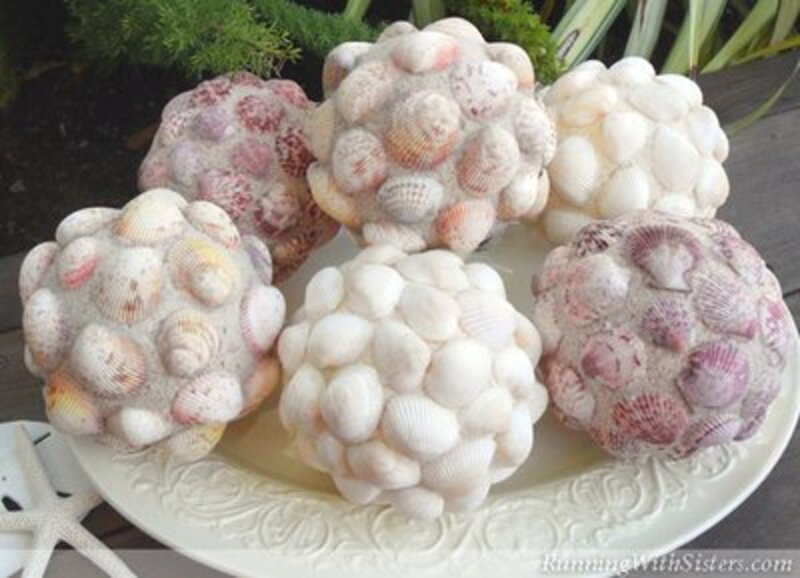 These scented seashell balls can be displayed in a glass bowl or made into pomander balls. Find the tutorial for this project at Running With Sisters. 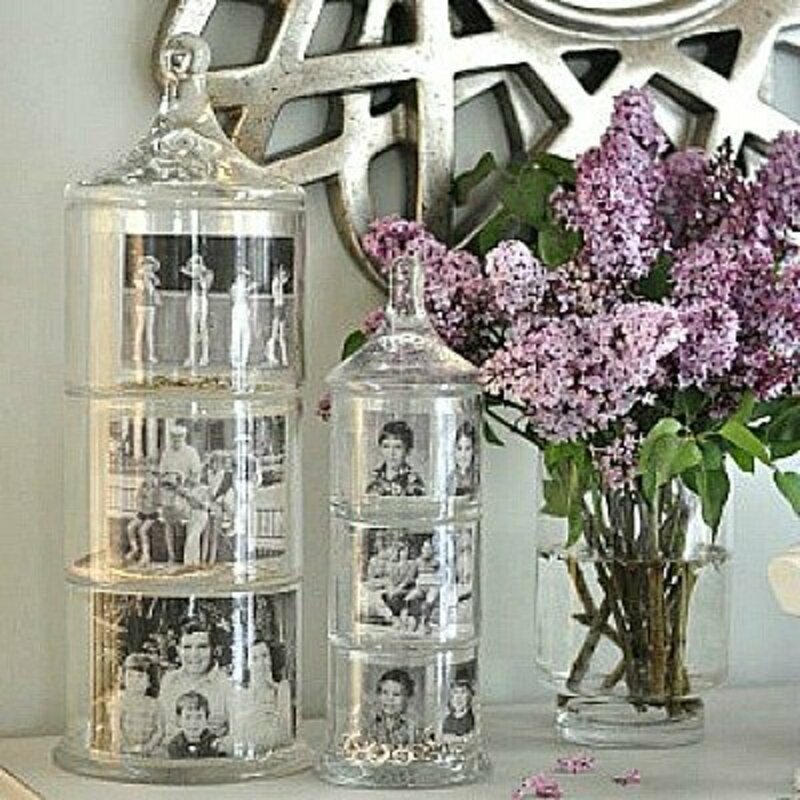 You'll find a fantastic tutorial at Front + Main for making these memory jars. Imagine how appreciative a newly married couple would be with a nice set of memory jars as a gift. I dare you to make just one of these paper mache clay figures. Once I started making these, I started hoping that more light bulbs would burn out so I could make another snowman. 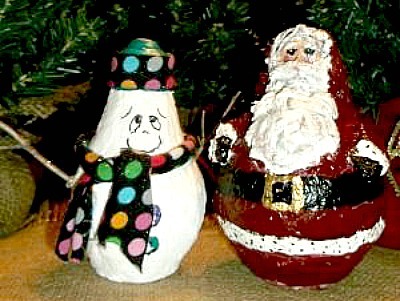 This addictive craft, and a tutorial, can be found at Papier-mâché Clay Light Bulb Snowman and Santa. 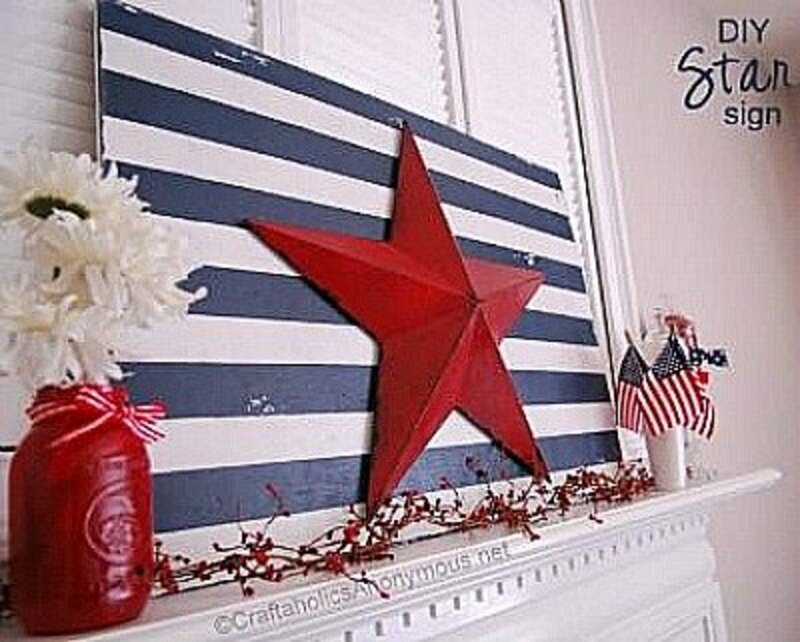 If you like to decorate for the different holidays, check this one out for the Fourth of July. 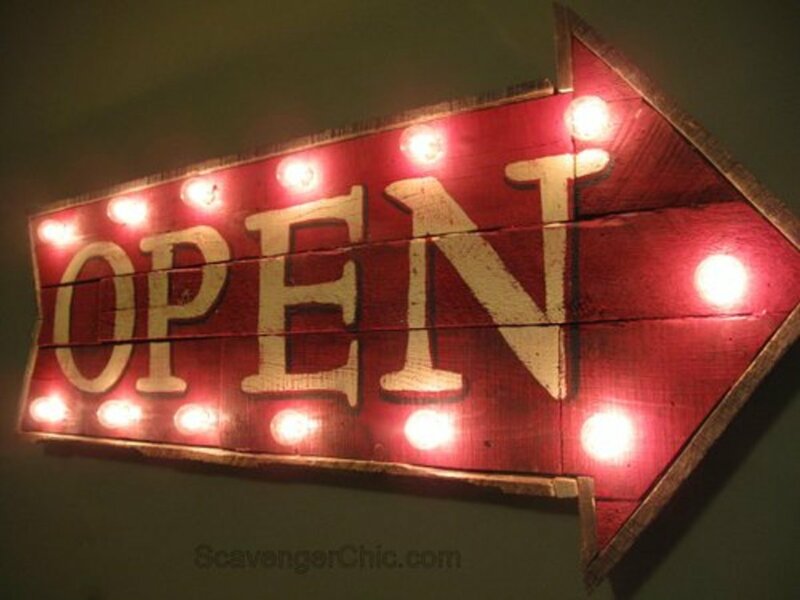 This stars and stripes sign is one of the projects found at the Craftaholic Anonymous site. 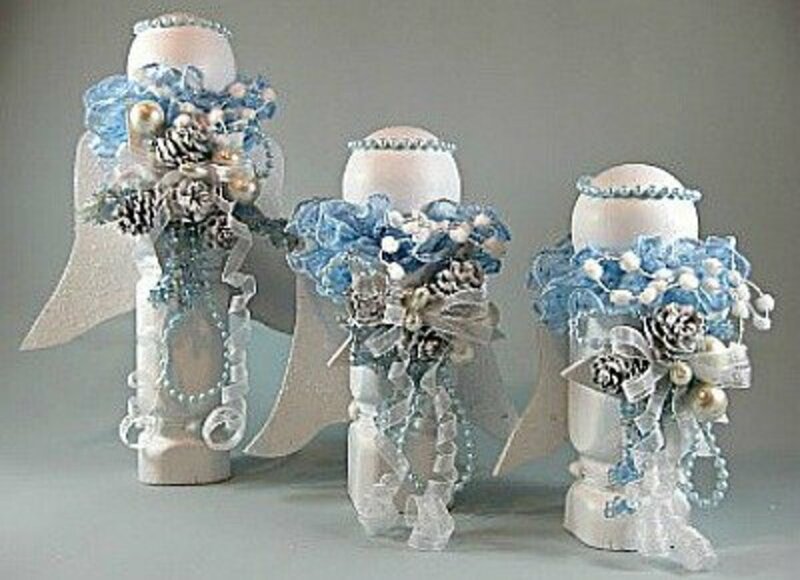 There are so many ways to change this spindle angel to make it unique after you follow the basic directions that you'll find at Another Bright Idea. 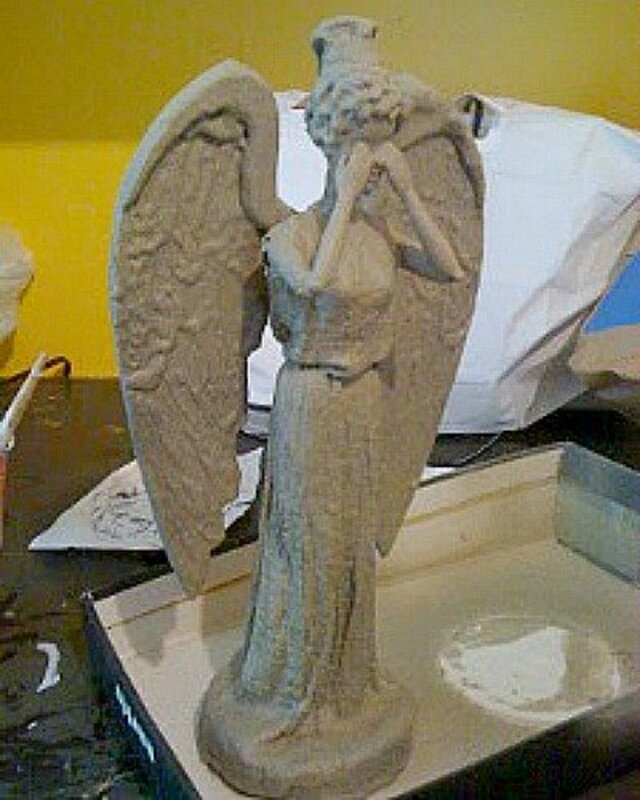 By changing the length of the spindles, the colors used when painting, or what you use to make the wings, you can make each angel new and unique. 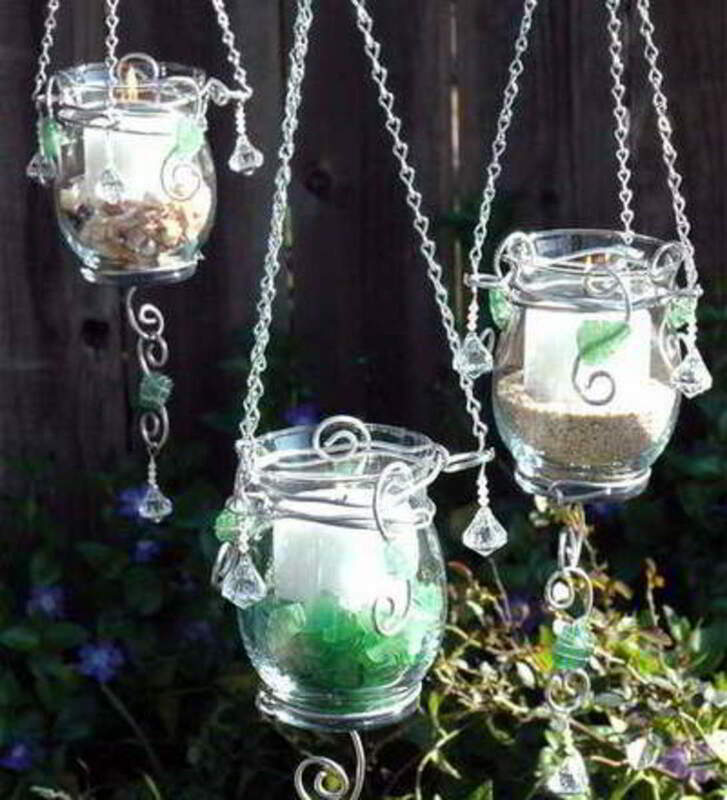 Consider wire or rusted tin for the wings. 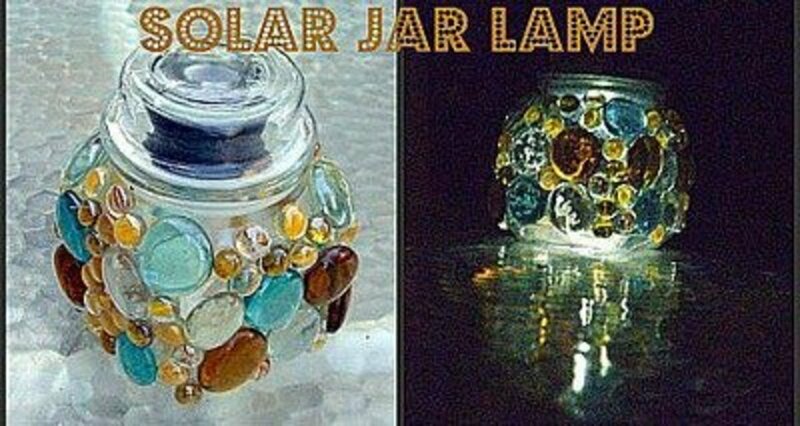 Glass gems and inexpensive solar lights combine to make a simple glass lidded jar a thing of beauty. 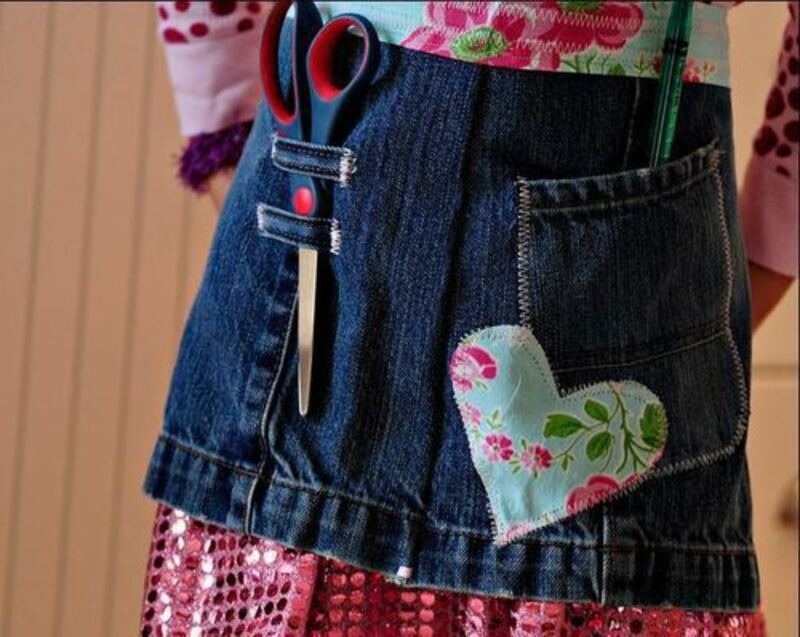 Find the tutorial for this project at DIY Crafty Projects. Create your own unique style of necklace by following the tutorial given at Moments With the Montanos. The possibilities are endless when you see how easy this is. If you don't think you can get by with stealing a few tiles from the family Scrabble game, usually you can find these games at rummage sales or the Goodwill store. This interesting and personal bracelet can be made by following the instructions at Creativity in a Nutshell. This project is for all the pet lovers who love their animals as family members. 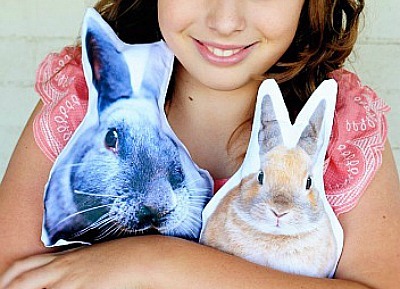 You'll want to make photo pillows of your very favorite pet. The easy-to-follow tutorial is found at Go Make Me. When you need the perfect plant container for the patio or front porch, consider making your own by following the tutorial at Centsational Girl. 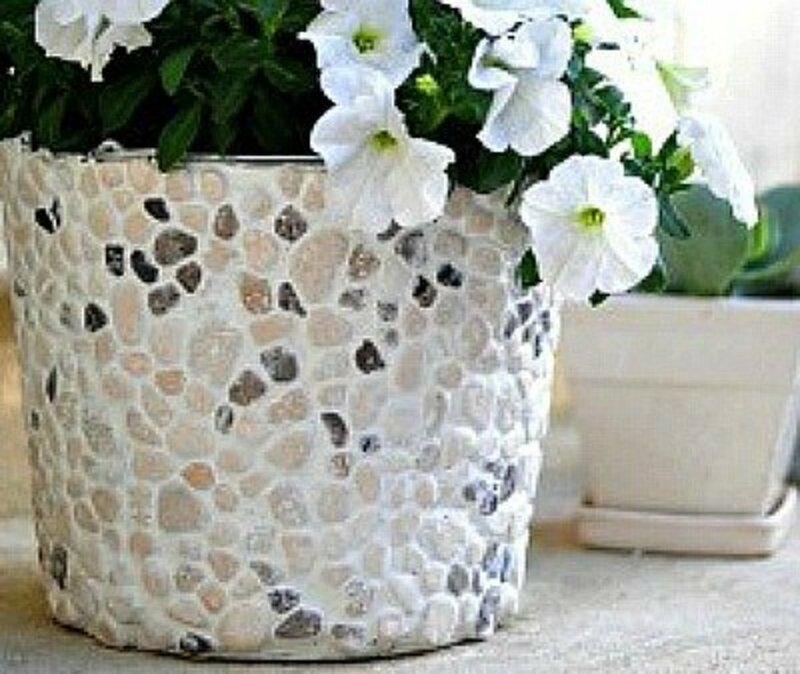 The rock-covered bucket is a beautiful addition to your outside living area and looks great with plants. What Kinds of Crafts Are Your Favorite? Or Leave a Comment. Hi there, This is Julia from FaveCrafts - I just wanted to say thanks so much for including our projects in your roundup. I'm so glad you found a couple of projects to fit your needs! Have a great day!